*WORKING ELECTRICITY & WATER* *BACKUP POWER GENERATOR* Utilities and Amenities restored! 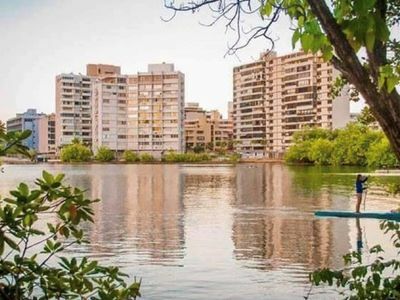 Stay in the Trendiest Area in San Juan! Or visit: VRBO or Homeaway Property reference ID to search: 676496, 486647,486653, 477627, 486857, 501774, 606305, 617630, 787032. 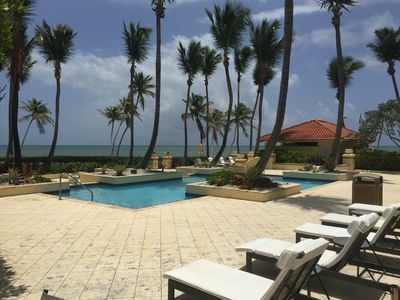 We are adding more properties for you to visit thanks for ALL your constant support and WELCOME TO PUERTO RICO! 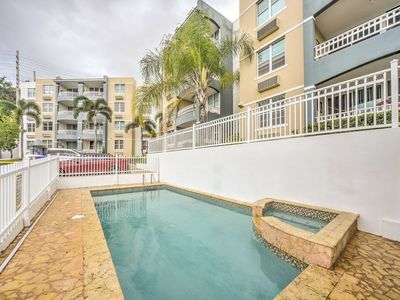 This beautiful and private apartment is located less than a 2-minute walk from the beach of Condado and from Ashford Avenue, the heart of Puerto Rico's premier tourist area and one of the most important avenues in all of San Juan. 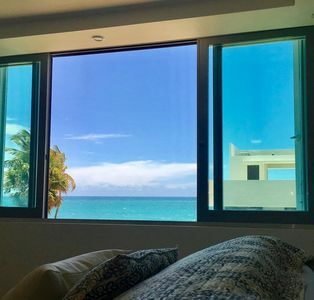 Recently renovated and with beautiful decor and wall art, this property is conveniently close to all the action: designer stores, top-notch restaurants, incredible hotels, casinos, nightlife, bars, spas, beauty salons, and more are just steps away from your front door. 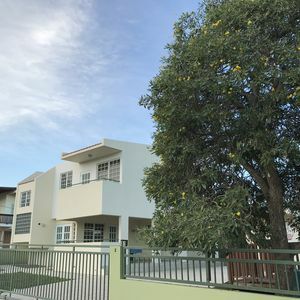 The spacious apartment is fully stocked and functional with Wi-Fi Internet, TV with Netflix for streaming only, and a stocked, full kitchen (forks, knives, plates, cups, pots and pans). We provide the option of renting a dedicated mobile hotspot for $20/day plus applicable tax. Please ask about this service if you are interested. 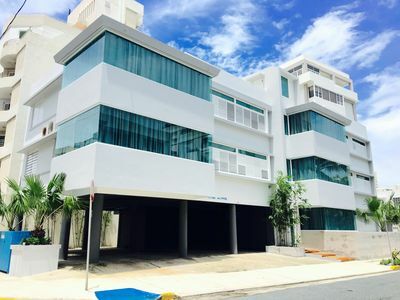 The location is the perfect blend of island beach getaway and city convenience. Ashford Avenue is home to upscale boutiques and for local hangout spots like The Place, Small Bar, Di Zucchero, and Stop and Go. You're one quick block away from a Walgreens and one quick block away from the calming sound of waves brushing up against the sand. You can't beat it. 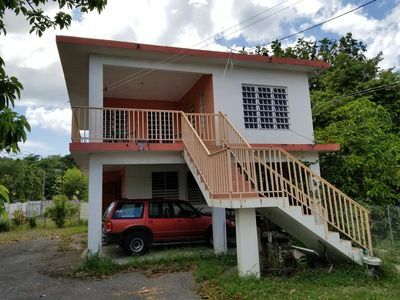 There are three bedrooms and three full bathrooms -one tiny but fully functional, a large kitchen, a dining room area, a very comfortable living room area with two full-sized sofa-beds and all bedrooms have air conditioning. The rental includes parking space for 2 vehicles. Our Magic Team is always on call to make sure everything goes smoothly and your vacation is perfect. Just text or call, and they'll be there for you. Also, ask about our concierge service! Our concierge can help make reservations, get private chefs, book boat charters, and buy groceries, just to name a few things. These additional services will be billed separately. A 4.5% fee is included to help provide a safer and more secure booking experience, coupled with 24/7 customer support throughout your trip. Please note that the cleaning fee does not include washing dishes, pots, and pans, emptying the refrigerator or throwing excess amounts of trash away. If you do not take care of this during your stay an additional $100.00 plus tax will be charged. 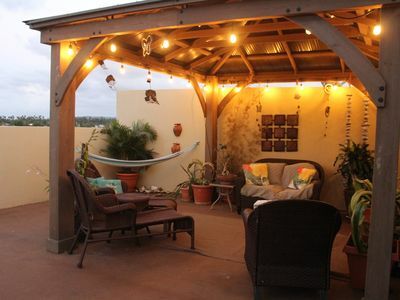 Note: As a vacation rental provider, our main priority is your peace of mind. We highly recommend you include at the time of booking your vacations the traveler's Cancellation Protection Plan or any other Travel Cancellation Insurance offered by the webpage in case you have the need to cancel your trip anytime. A Whole house, 5 min. walking of the Aguada beatiful beach, nice location! Penthouse Villa at Wyndham Rio Mar Resort !!! Great Deal!!! 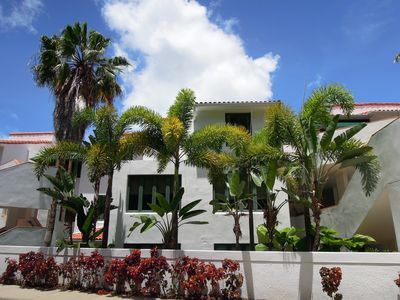 Private terrace with ocean view, 5 pools, Near San Juan for 8, fully equipped!! 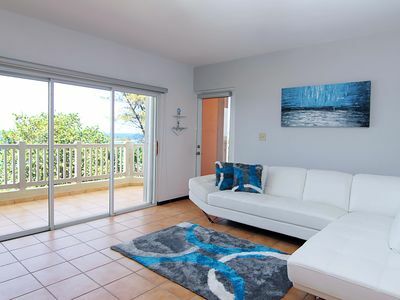 Rincon Condo w/Pool Access 3-Min Drive to Beach!